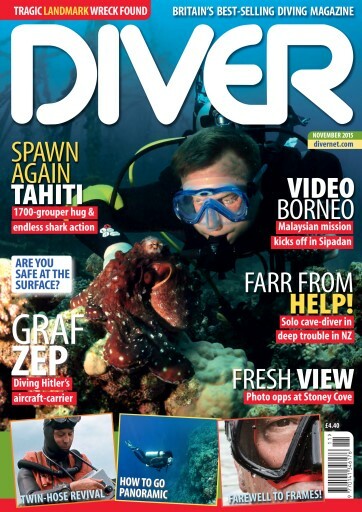 TAHITI – In French Polynesia for the grouper and the sharks. 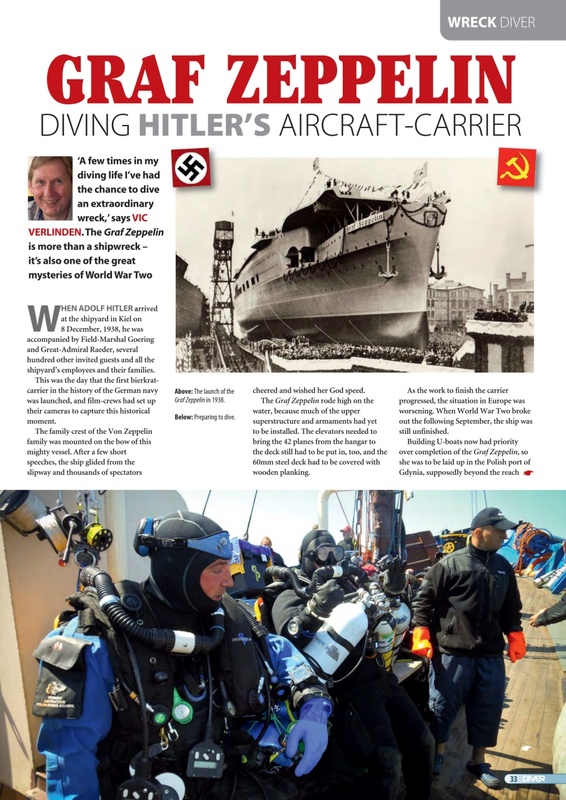 GRAF ZEPPELIN – To the Baltic to dive Hitler’s mysterious aircraft-carrier. 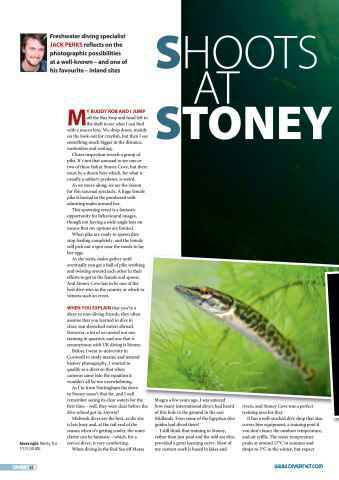 STONEY COVE – Jack Perks considers freshwater photo prospects. 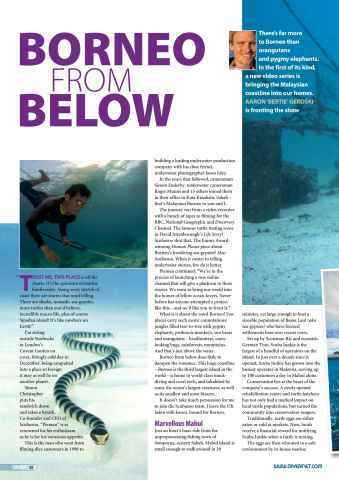 BORNEO – Aaron Gekoski on a dream assignment in Malaysia. DRIFT DIVING – Take Simon Pridmore’s advice and don’t miss the boat. TWIN-HOSE REGULTORS – For some divers, it’s as if twin hoses never went away! 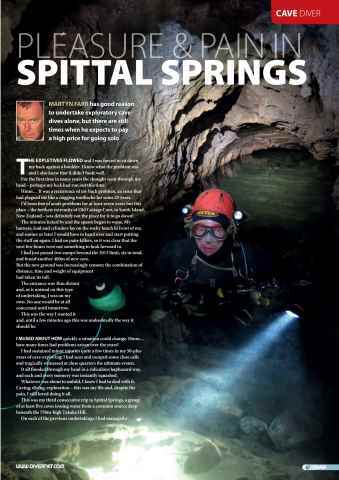 NEW ZEALAND CAVES …in Spittal Springs, where a cave-diver is in trouble. 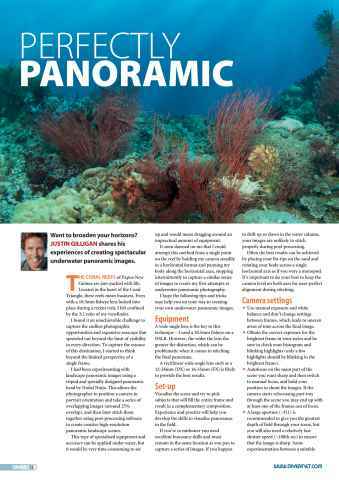 PANORAMICS – Want to broaden your horizons? 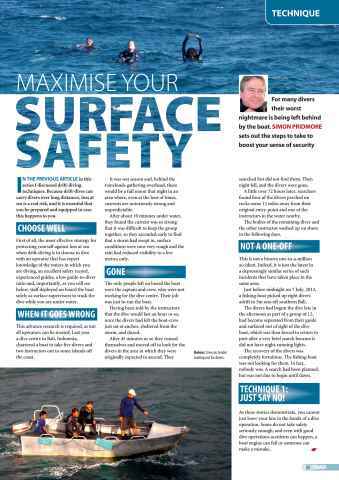 Justin Gilligan can help. MONTY IN KOMODO – Monty Halls goes large this month.